Vallarai keerai is being recommended by Siddha and Ayurveda experts for increasing memory power in kids. 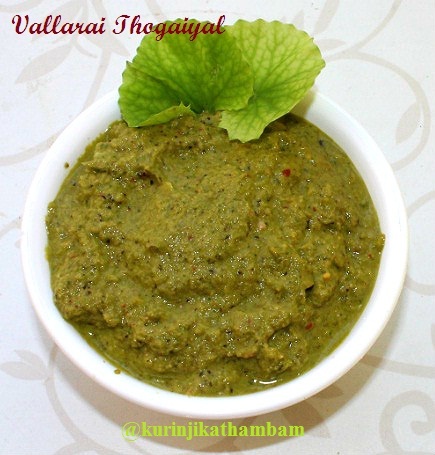 This thogaiyal is an ideal alternative to our standard coconut chutney for atleast once in a week. 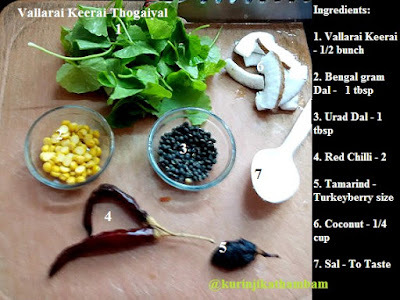 It is better to start from early childhood itself and so this recipe is a good start. Check out my vallarai keerai kootu recipe here. 1. Remove the stem of the vallari keerai and wash them well. Drain the water completely and keep it aside. 2. 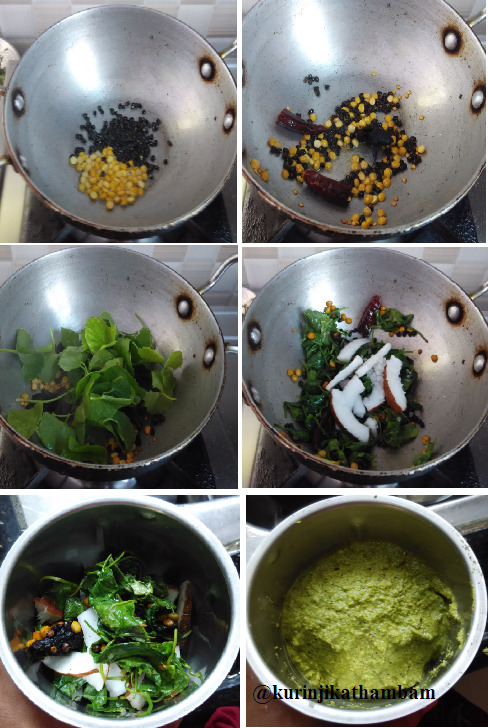 Heat the oil in a pan, add Bengal gram dal and urad dal. Fry till they turn into golden color. 3. Then add the red chillies and fry for a minute. 4. Now add the tamarind and fry for minute. 5. Then add the washed vallarai keerai and fry till the raw smell goes off. Switch off the flame and add coconut and salt. Allow it to cool down completely. 6. Grind them into a fine paste using the mixie with little water. Transfer it into a serving bowl. Very nice! Thank for sharing. Wow dear, this is absolutely awesome!